The Oregon based Pacifica has been the name in natural fragrance blends for years: their lotions, body butters, and perfumes (solid and roll-ons) have been the darlings of the health conscious scent world. Since 1996 all of their skin care and color is formulated without: Animal testing, animal ingredients, FD&C color, phthalates, parabens, sulfates, propylene glycol, benzene, mineral oil, petroleum, peanut oil, triclosan, with their products being composed of from natural ingredients and essential oils and their packaging is made from recycled materials. 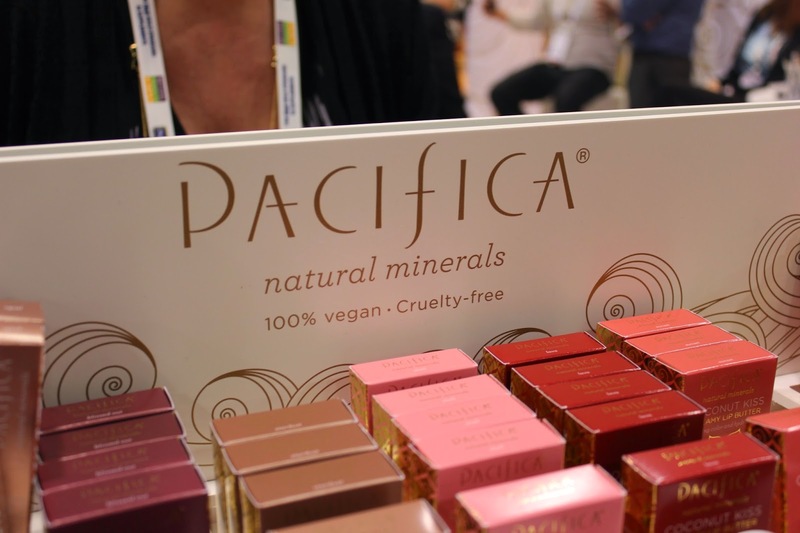 Well as we saw at the Natural Products Expo West, Pacifica is reinventing themselves this Spring 2013 with a selection of new skincare and makeup products that will be available at Target. Pacifica Creator/Owner Brook Harvey-Taylor for the longest time held out from being retailed at Target until she realized that much of her all-natural fan base lived far away from the big cities and needed Target's location, quality, and reasonable-priced selections to meet their consciousness needs. Ever since Harvey-Taylor made that move, she was glad she did! 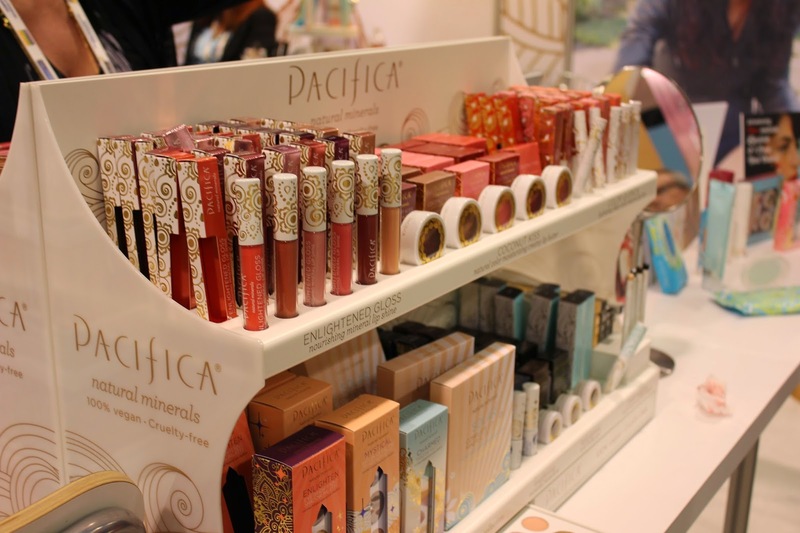 Pacifica is Target's exclusively all-natural line that's being exposed to a wider range of shoppers. These new cosmetic and skincare collections are coconut water-based which acts as a skin balancer while soothing and softening. This ingredient creates a creamy, crease-free formula that supports long wear. 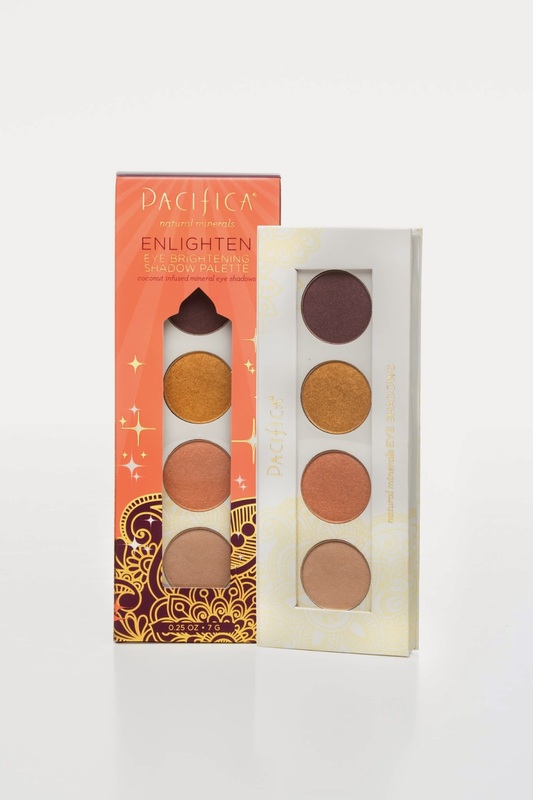 One of the Auh-Mazing products of this new line is their Enlighten Eye Brightening Mineral Eye Shadow Palette. Rich, lasting, creaseless eye shadows are infused with coconut water for a velvety, cream-like finish. These four highly pigmented mineral satin makeup and iridescent shades are specially curated and designed to brighten the eyes and make you look gorgeous and awake. (Even when you did not get a good night's sleep!) Shades include Urchin (Purple), Golden (Gold), Coral Sand (Pinky), and Skinny Dip (Buff). 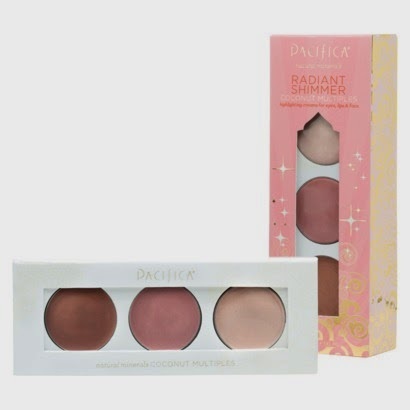 Another really cool Pacifica product is their Radiant Shimmer Coconut Multiples, a palette of 3 pearly shades of Bronzed, a perfectly glowing sun-kissed color with golden shimmer shadow; Island Rose, a shimmering, radiant dewy pink shadow; and Moonlit, an iridescent pale shades of moon-kissed shimmer that can be used as lip color, blush, and eye shadow. You'll get your money's worth out of this $14 palette along with the peace of mind of using a Vegan and cruelty-free! Whoot, whoot!!! Something to Check: Edible Skinny's Goddess Giveaway! 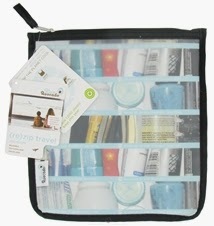 We interrupt the Natural Products Expo West Best of Fest review for a Something to Check out Goddess Giveaway! It seemed the Universe wanted to show another example of the power of manifestation as yesterday we were just thinking we should do another giveaway on Edible Skinny and low and behold there was an email in our mailbox this morning filling that exact order!!! 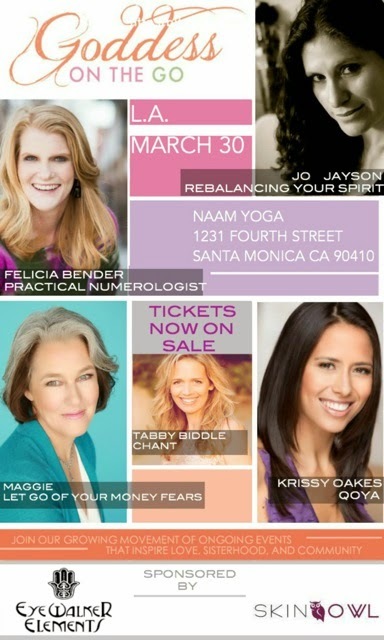 For the next 3 days we will be giving away a ticket each day to Goddess On the Go's Los Angeles event to be held at Naam Yoga in Santa Monica on this Sunday March 30th from 10:30AM-5:30PM (a $100 value per ticket)!!! For today's contest all you have to do is like Edible Skinny on Facebook and post your best secret to channeling your inner Goddess by Midnight tonight! Goddess On the Go reconnects women to their essential needs, so they can experience life with a full “tank” of gratitude and glow. As featured in Elle and Lucy Magazine, their workshops bring women together to reconnect to their pure and perfect pleasure, spice up their sensual sides, and bask in the power of sisterhood. Led by a compelling group of experts on wellness, spirituality, and beauty, participants dive into all that’s divine about being a woman. As GOTG explains, "Too often, women are busy running from place to place, forgetting to take care of ourselves first (if at all). We get disconnected from our bodies, our needs, and our intuition, forgetting what makes us happy—or that we even deserve to feel happiness at all. At Goddess On The Go workshops, women connect, move their bodies, and uncover their bombshell beauty, in a fun space designed to heal and create lasting fulfillment. It’s a serene celebration of life, goddess style!" At this round of their Los Angeles workshops seminars will include: Rebalancing Your Spirit with Joy Jayson of Expressions of The Goddess, Know Your Numbers Jumpstart Your Life with the Practical Numeroligist/Author Felicia Bender, Let Go Of Your Money Fears: 3 Keys To Owning Your Value, Charging What Your Worth and Receiving the Income You Deserve!, and Qoya-led by Krissy Oakes. Plus Pam Dawson of Pam’s Petite Pies will be preparing a delectable, nourishing lunch fit for Goddesses’ pleasure loving palettes! So get your inner goddess booty over to FB and post away (or if you would like to purchase tickets instead feel free at http://www.eventbrite.com/e/goddess-on-the-go-la-march-30-2014-tickets-8973954339?aff=erelexporg)!!! Labels: contest, Goddess Giveaway, Goddess On the Go, Naam Yoga, Something to Check Out, Something to Check: Edible Skinny's Goddess Giveaway! So one of the most amazing discoveries Kelly and I made early on at the Natural Products Expo West was the tremendously truffley world of da Rosario Organics. Da Rosario's creator, Rosario Safina, has been the driving force behind the popularization of truffles over the past 30 years. During his time as President of the largest truffle company in history, Rosario became the driving force behind the popularization of truffles and its transformation from elite luxury to everyday staple for millions of food lovers across the country. In 2002, Safina published the first book in the U.S. dedicated to this luxury item, "Truffles: Ultimate Luxury, Everyday Pleasure," establishing him as the noted authority on the subject. Safina has appeared and been featured in outlets including Martha Stewart Living, CNN, Fine Living, Emeril Live, Good Morning America, The New Yorker, The Genuine Article with Gordon Elliott, and NPR. 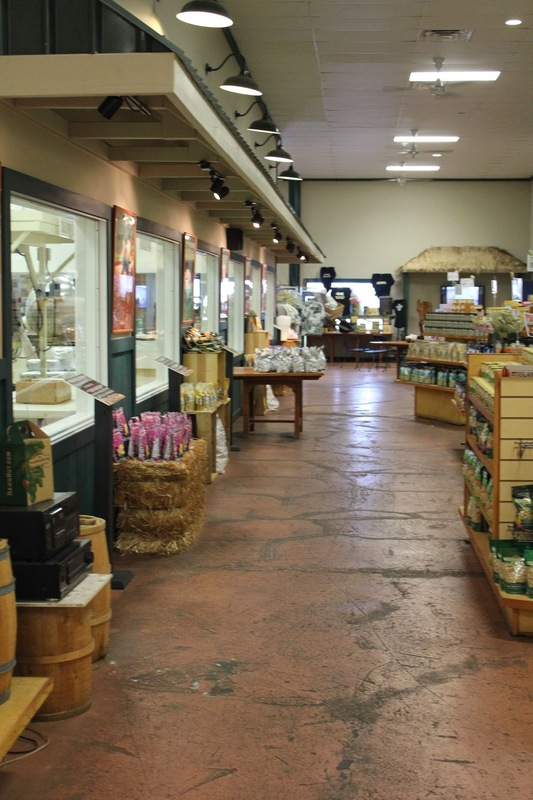 All their products are made from real truffles, with no chemical ingredients, additives, artificial flavorings or color. Unlike most truffle products, which use chemically-derived synthetic flavorings, da Rosario Organics employs an exclusive, proprietary process to extract actual molecules from truffles harvested from privately-owned USDA Certified Organic land in Italy. 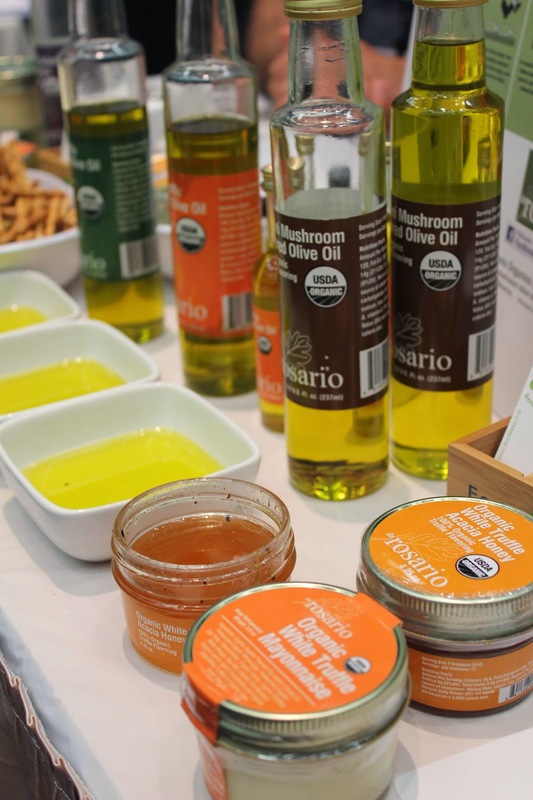 Da Rosario Organics launched two new additions at this year’s Natural Products Expo West: White Truffle and Black Truffle Vegannaise. 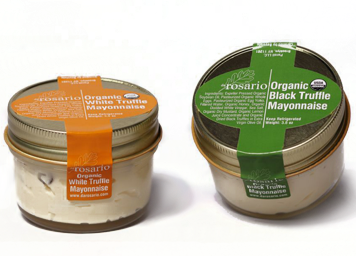 Made with Follow Your Heart USDA Organic Vegenaise and Da Rosario’s proprietary USDA 100% Organic white or black truffle EVOO concentrate loaded with visible, real, organic white or black truffle pieces. Today, mayonnaise is the #1 selling condiment in the country. Sales of mayonnaise, in both total sales and units sold, dwarf both salsa and ketchup. 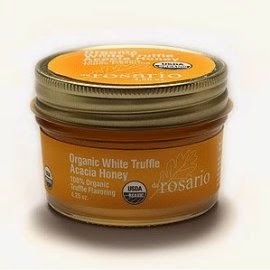 Another standout product that Edible Skinny sampled at Expo West was their 100% Organic White Truffle Honey. Made with real organic white truffle pieces, organic Acacia honey, and organic white truffle evoo concentrate, their truffle honey is the first-ever in the US market. For the carnivores out there, this is a delicious addition with roast pork, duck breast, turkey or lamb, just brush a teaspoon on top while the meat rests out of the oven. So for vegetable, roasts, and just to be eaten out of the jar da Rosario’s Organics make the world a more tremendously truffley place! 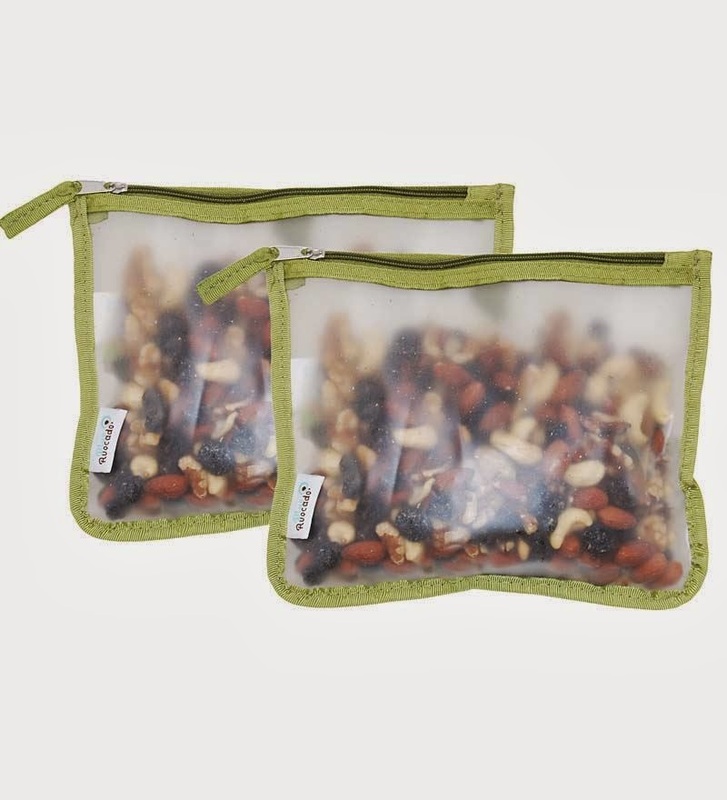 Our third pick for Best of the Fest at the Natural Products Expo West is BlueAvocado’sfamily of (re)zip reusable storage bags. Started in Austin, Texas in 2008, BlueAvocado was founded by Melissa Nathan, Paige Davis, and Amy George, who were driven by their desire to address the growing clutter and environmental problems caused by the use of disposable, non-recyclable, plastic bags and chose to create a stylish, convenient alternative. BlueAvocado products minimize the use of disposable bags and exemplify the company's commitment to smart solutions for life’s throwaway problems. 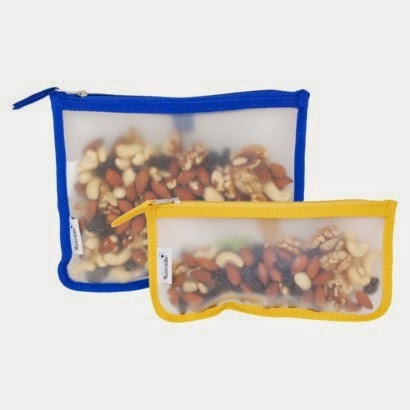 These storage bags replace disposable plastic baggies used for snacks, sandwiches, travel, and home organization. Using one (re)zip at least twice a week can eliminate +100 disposable plastic baggies annually. Their (re)zips are constructed to be machine washable (just make sure to line dry). They can also be used as a TSA Compliant Reusable Travel Bag. The company's vision includes a commitment to empowering consumers to reduce their carbon footprints and invest in the dreams of global women micro-entrepreneurs (1% of the company's sales are donated to a variety of organizations including Kiva.org and Whole Planet Foundation). The company collaborates closely with a manufacturer in China (the world's largest manufacturer of recycled products) to ensure that environmental, health, safety and labor requirements are met. BlueAvocado continues to seek out local suppliers as well. The company partners with BeGreenNow, the carbon offset division of Green Mountain Energy, to verify the carbon footprint calculations that can be found on the label of all BlueAvocado products. BlueAvocado introduced two new production additions to its (re)zip family of products at the Natural Products Expo West this year: the (re)zip seal and the (re)zip volume. Both are patent pending innovations featuring a unique leak proof double-lock closure that seals in freshness. 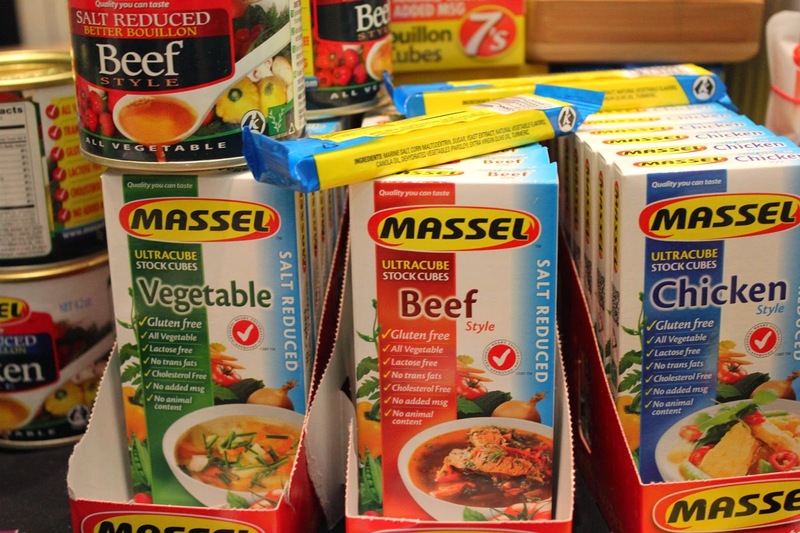 Massel bouillon cubes, seasoning granules, Concentrated Liquid Stock and gravy mixes are an Australian institution for 30 years (they’re the #1 Bouillon in the Land Down Under) that just happen to also be Vegan! And here’s the crazy Auh-part using all natural ingredients such as vegetables, herbs, extra virgin olive oil and pure sea salt from the Great Southern Ocean (apparently the cleanest ocean in the world) they are able to make something that tastes exactly like chicken or beef. Whoot whoot!!! Massel ticks off all the boxes for people with dietary restrictions, lifestyle choices, or religious beliefs that impact what they put in their mouth. All Massel products are: Gluten-free, All natural ingredients, Vegan, No added MSG, GMO-free ingredients, Cholesterol-free, Preservative-free, Suitable for people with Celiac disease, Kosher certified, Lactose-free, Trans fat-free, less salt. Whoot whoot again!!! 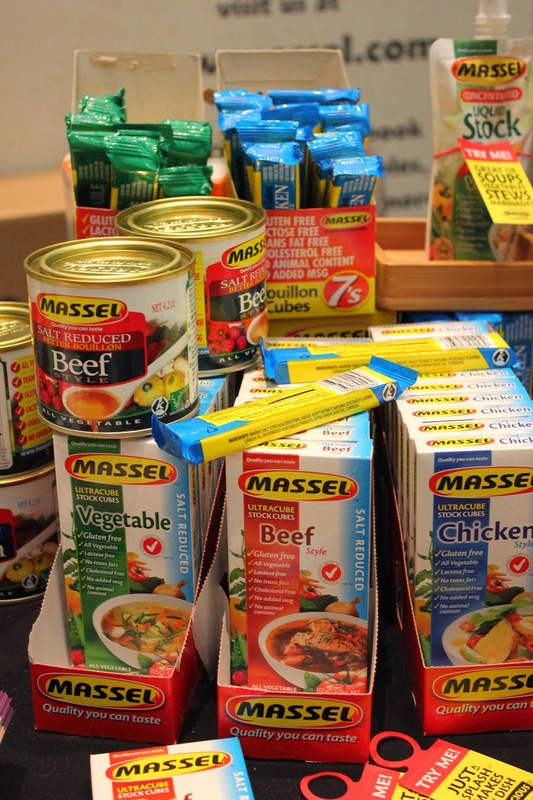 When Massel’s founder, Frank Massel, made his first batch of stock in 1982, he wanted to make a delicious, healthy, affordable stock that could be used by everyone regardless of dietary restriction, religious belief or lifestyle choice. But most of all he wanted to make an instant stock that tasted as delicious as his wife’s homemade stock. He had three founding principles. 2. Vegetable based products are not just for vegans and vegetarians. They’re better for everyone and they can be just as tasty as a meat based equivalent. Tastier even! 3. Affordable vegetable based products are the way of the future. They make sense for us all for our health, for our planet and for our pockets! 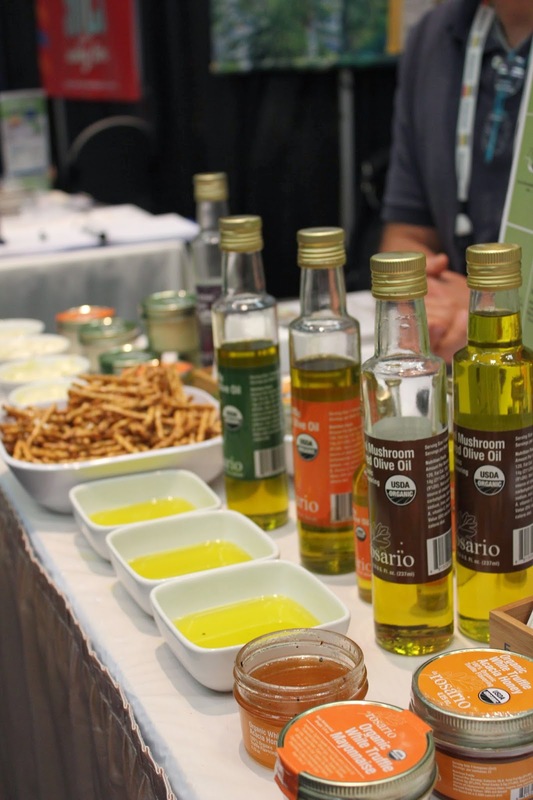 At this year’s Natural Products Expo West Massel was introducing their delicious new Concentrated Liquid Stock (in Chicken, Veggie, and Beef). Each little pouch of Concentrated Liquid Stock makes two quarts of fresh bouillon, and costs around the same as just one quart of conventional liquid stock. Uses include: making soups and stews Great, that added Oomph in marinades, and giving stir fries that Wow factor. Already the best-selling Concentrated Liquid Stock in Australia, you can now buy this great new product in America in places like Gelson’s and Bristol Farms! Whoot whoot!!! 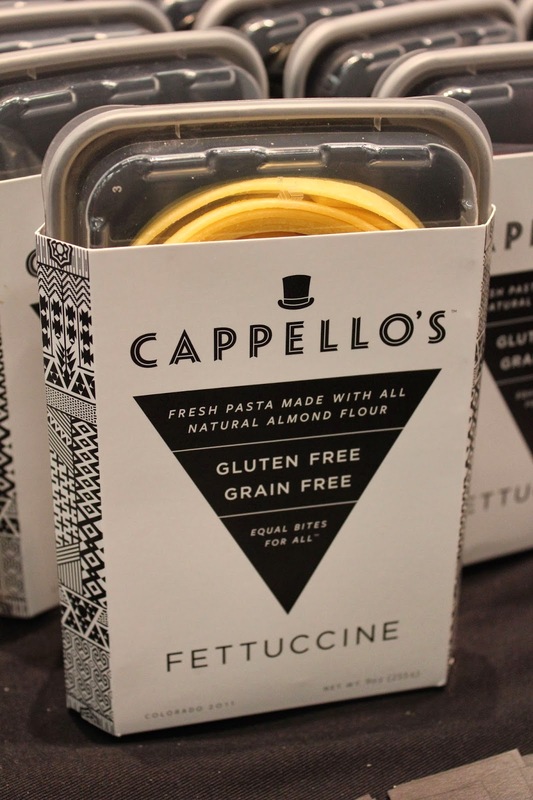 First up: Cappello’s, a Colorado-based gourmet food company specializing in high-end gluten free, grain free products. Founded in 2011 by friends Stacey Marcellus and Benjamin Frohlichstein, the inspiration for Cappello’s was born out of Stacey and Ben’s desire to create a totally unique food company, to be the best at what they do, and to legitimize their penchant for asking strangers to taste their pasta. The company offers three different types of pasta: Fettuccine, Gnocchi, and Lasagna. Along with being 100% gluten free all products are freezable and are shipped in a custom eco-cooler. Cappello’s mission is simple: provide fresh, uniquely delicious options for gourmet food-lovers, healthy eaters and people with dietary restrictions. Their fresh gluten free, grain free pasta is carefully hand-crafted to achieve a texture and taste that is unrivaled among traditional pasta and it shows! We first tried their pasta before realizing the lack of wheat involved and Kelly and I were both blown away by the perfectly authentic Italian chewy texture (compared to the sogginess that’s rice pasta’s MO…). The Fettuccine and Lasagna are made primarily from an almond flour and egg base, while their Gnocchi also includes potato flakes (naturally). Unlike dry pasta alternatives, their fresh gluten free, grain free pastas cook quickly, in a minute or less, depending on personal preference for bite. Serve the pasta immediately, and watch as your friends dig in oblivious to the fact their dish is 100% gluten free (seriously you’d never know!). Then tell them it’s also low on the glycemic index. And for the sweet tooth lover, Cappello's has teamed up with Primal Palate to bring to us the world's yummiest gluten free, grain free, chocolate chip cookie dough. 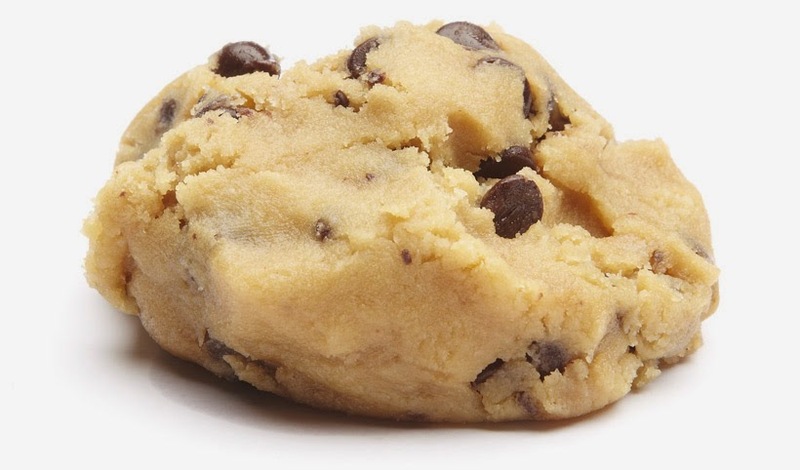 This Paleo friendly cookie dough is made from the highest quality ingredients to craft this delicious, nutrient dense, low glycemic treat. You can savor it raw, mix it in ice cream or simply cut and bake. Tres yummm! 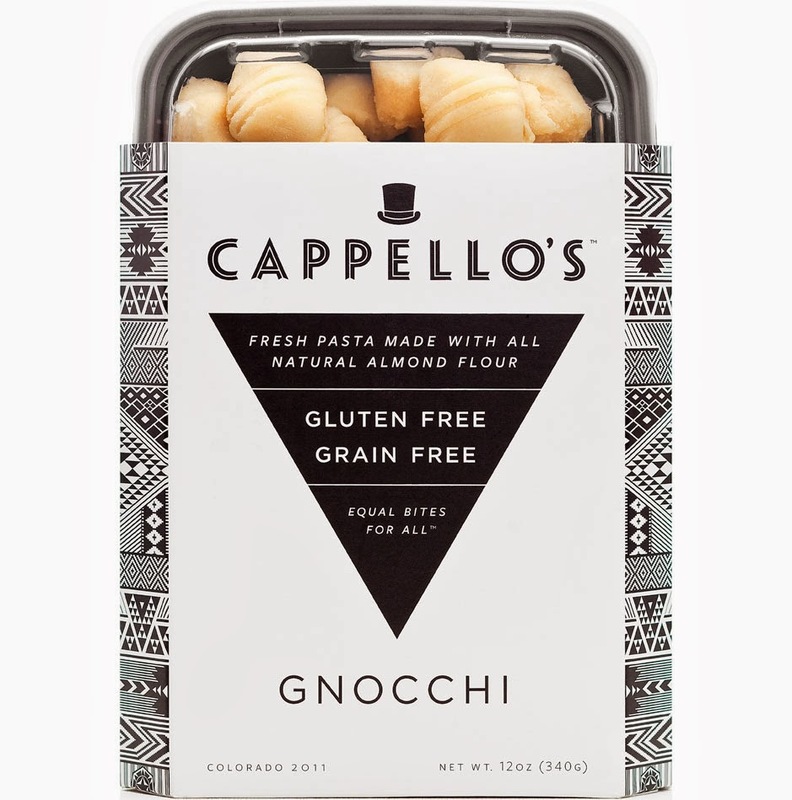 So for anyone watching their wheat, but still wanting the warmth of the classic comfort foods pasta and cookie dough, Cappello’s is totally the answer! 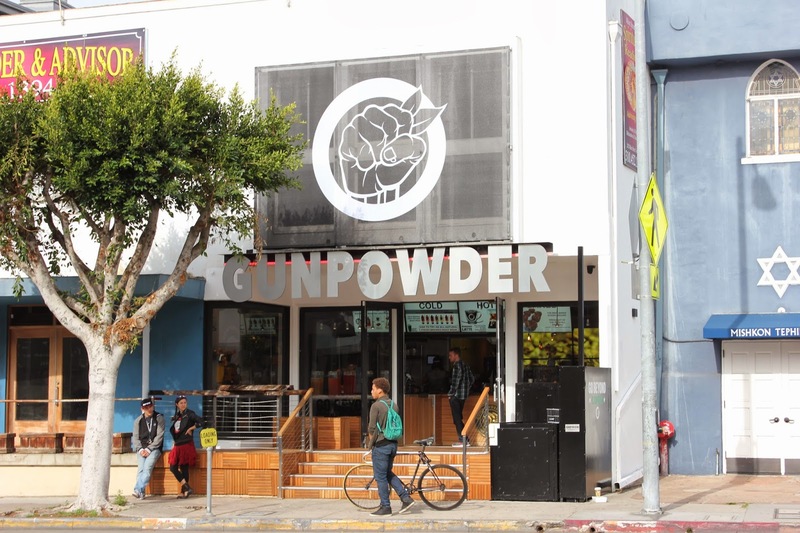 With the sky’s the limit goal of “redefining tea for America,” Gunpowder, a creative new tea facility, opened in Venice a few weeks ago. 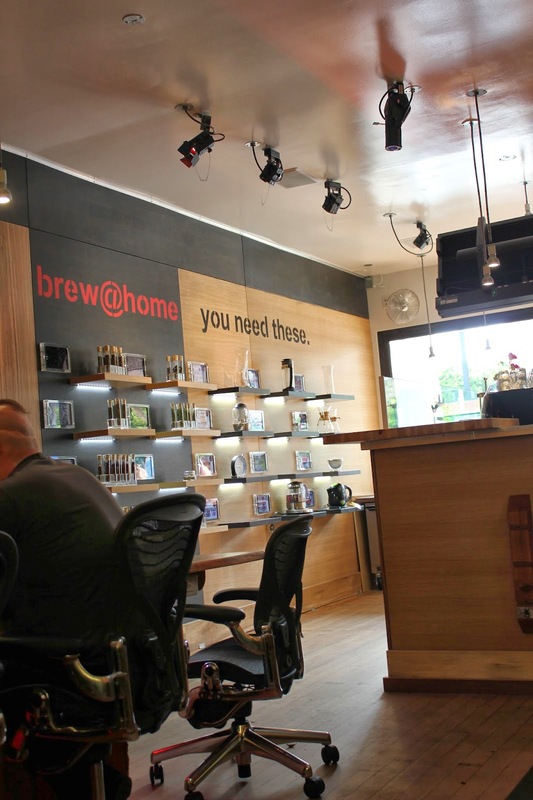 Named after the Chinese green tea, this liquid lab’s philosophy is that tea is the new coffee. 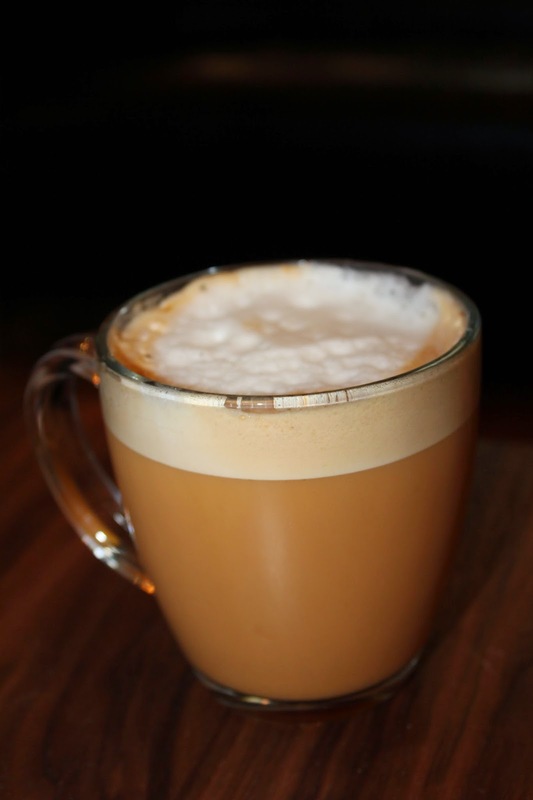 The bonus is that the imbiber gets more caffeine, ten times the antioxidants, and none of the acidity of a cup of Starbucks Joe! The order counter serves drinks such as Iced Gunpowders (cold brewed tea infused with fresh fruit made daily), Gunshot Lattes (made with almond or cow’s milk), and Power On Shots (5-hour energy without the artificial everything fueled by tea) all made from non-coffee based items like chicory and guayusa (a second cousin of yerba mate). There’s also gluten-free vegan baked goods prepared in house by Merce Muse (of Merce and the Muse cafe in Paris). From the mind of writer/director/photographer Mike Franzini Gunpowder screams Millennials. Its target audience is everyone who embraces world of being a Slashie. The back lounge is split like Two-Face’s face: one half work and the other half play. For those working on their next must have social media company there’s office chairs surrounding a 12-foot communal English Elm table with USB plugs to the right. And on the left, for those looking to sit back, relax, and get down to finally writing that screenplay there’s Adirondack chairs nestled on real grass with an abstract cloud lamp hovering above. 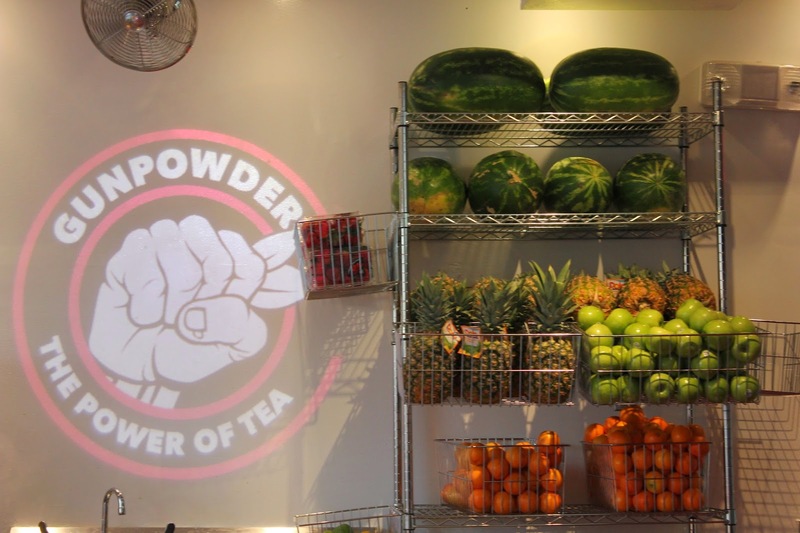 All of Gunpowder’s teas are original blends crafted by tastemaker Jeremy Johnson. Cognizant that a thousand tea choices can be overwhelming, Johnson limits the front of the house to 8 teas at a time. Each is explained through an interactive iPad stationed right next to it. “Tea has always been everything and anything. We’re the opposite: we’re about selectivity,” noted Johnson. The one thing that they’re not selective about at the moment is time; the lounge is open 24 hours. So for anyone who’s recently given up coffee (read: me!) and needs that midnight pick-me-up to stay out all night Gunpowder just bestowed that healthy option! Hooray!!! KNF Chicken Coop. Photo by Kat Thomas. So this is the last post on my trip to Hawai’i and it’s a pretty Auh-Mazing one! 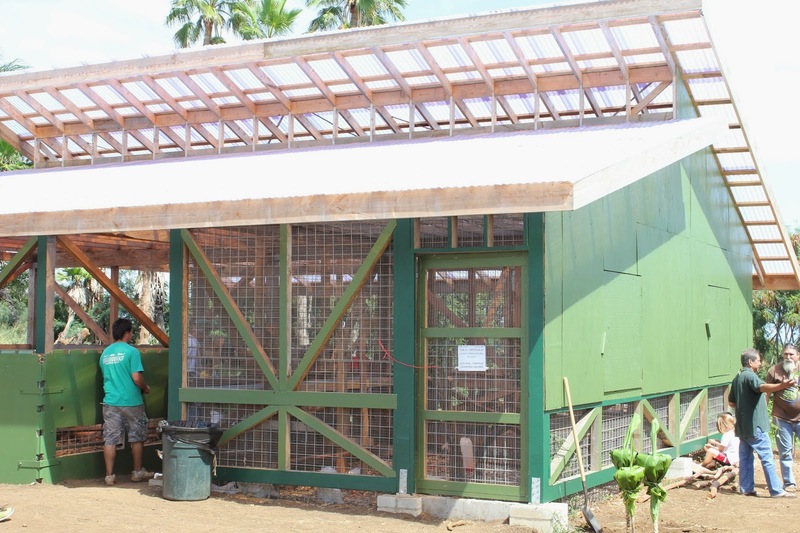 Pighouse at Ho'ea Farms. Photo by Kat Thomas. gut, IMOs rebuild the soil. KNF with IMO’s is a smart and clean approach to organic farming that is practiced successfully in over 30 countries, in home gardens and on a commercial scale. Korean Natural Farming is cheap, easy, and effective, a trifecta of awesomeness to a farmer’s ears! 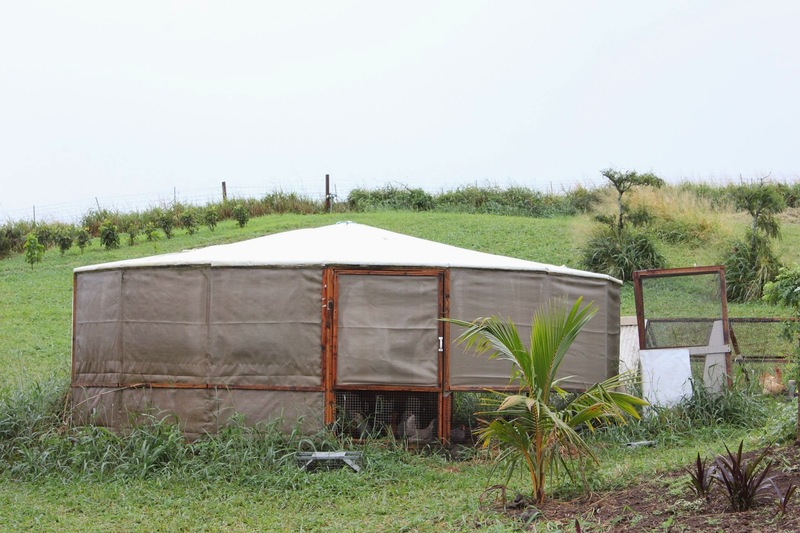 It has helped many Big Island farmers overcome the challenge of dead soil (soil blasted by chemicals for so many decades of sugarcane farming that there wasn’t an earthworm in it). I myself saw impressive results while replanting some tomato plants in the greenhouse as those feed IMOs perked up after a day, while those feed just water were noticeably more wilted. Korean Professor, Han Kyu Cho, is considered the father of Korean Natural Farming (which is also sometimes known as Thai Natural Farming and Asian Natural Farming). The basic principle behind KNF is to create a farming environment compatible with naturally occurring organisms in the farmland. Korean Natural Farming recycles nutrients from various herbs or farm waste, and combines them into a foliar spray for fertilization based on different stages of growth of the crop. 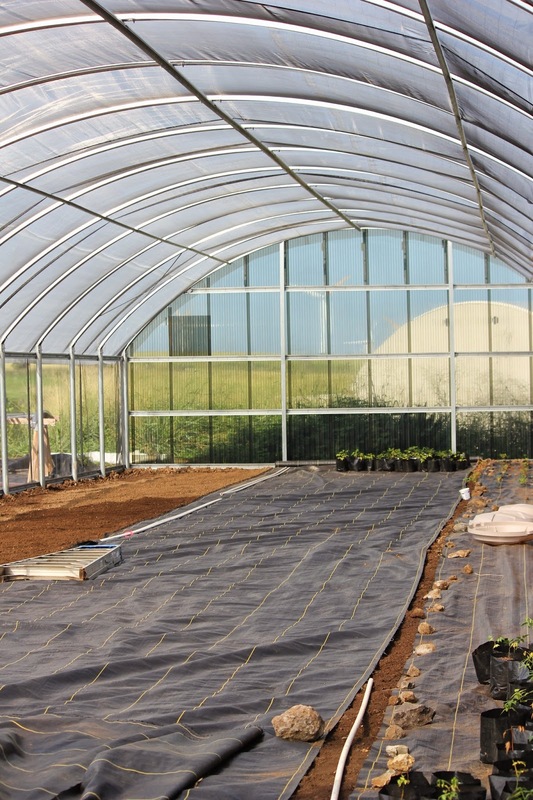 Crop enhancement of indigenous microorganisms are more likely to be accepted by the soil than alien beneficial organisms (such as the trademarked Effective Microorganisms). Indigenous Microorganisms (IMOs) refer to various homemade solid and liquid cultures of beneficial microbes. To culture beneficial IMOs, these are materials are concocted from various local materials such as forest/field plant materials as well as fruit, vegetables and even fish scraps and snails. Therefore, few, outside or purchased inputs are required. Chicken Raised with KNF. Photo by Kat Thomas. Mr. Han Kyu Cho formulated and fine-tuned these practices for 40 years and has trained over 18,000 people at the Janong Natural Farming Institute. One of the people he trained was Dr. Hoon Park, who in 2005 brought the Korean Natural Farming to Hawaii. A retired M.D. from Hilo, Dr. Park was in South Korea doing missionary work and noticed commercial piggeries with virtually no smell that were using KNF methods. Dr. Park came back to Hawaii, his home, and began giving classes for free. The Korean Natural Farming is unique in that it is not meant to be commercialized, but rather practiced by farmers, with cheap, easily available ingredients, and microbes or mycorrhizae indigenous to each locale or farm. Mycorrhizae are “fungus roots” and act as an interface between plants and soil. They grow into the roots of crops and out into the soil, increasing the root system many thousands of times over. They act symbiotically, converting with enzymes the nutrients of the soil into food the plants can use and taking carbohydrates from the plants and turning it into nutrients the soil can use: “sequestering” carbon in the soil for later use. 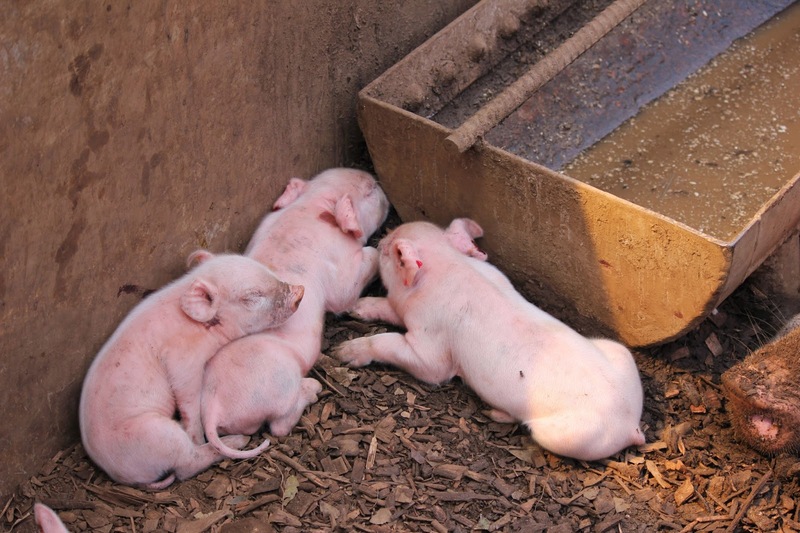 Ho'ea Farms KNF Piglets. Photo by Kat Thomas. Miles of fungal filaments can be present in an ounce of healthy soil. Mycorrhizal inoculation of soil increases the accumulation of carbon in the soil by depositing glomalin, which in turn, increases soil structure, by binding organic matter to mineral particles in the soil. Glomalin is a glycoprotein that binds together silt, sand, or clay soil particles. By supergluing the small, loose particles, this gooey protein makes larger granules that protect the soil from eroding through wind and water. One way to anchor or feed mycorrhizae in the soil is by adding charcoal, specifically charcoal, which is made without fossil fuels (such as Biochar). Charcoal provides shelter for the mycorrhizae to live in with its myriad of tiny holes. A healthy fertile soil is a soil alive with a multitude of microorganisms. Research found about 700 kilograms of microorganisms to live in 0.1 hectare of land. Natural Farming recreate the conditions found in Natural environments such as old growth forests. Chemical application of pesticides, herbicides and fertilizer kill all that precious life in the soil eventually turning it into a compacted lifeless dust bowl. Greenhouse watered with IMOs. Photo by Kat Thomas. The biggest bonus to KNF animal hutches being that there is no pollution, no smell, no flies, no wastewater, disease, or cleaning needed. In other words, the IMOs on the floor will break down the chicken feces and there is virtually no smell and no need to muck the coop. When the Chinese were preparing for the Olympics to be held in Beijing in 2008, China, the Chinese army came in, bringing with them their pigs, which they raise to feed themselves. The population of Beijing was suddenly assaulted by the smell of pig waste and protested violently. The head of the Chinese army sent two men to South Korea to study Natural Farming, which he had heard about. The men came back and the army immediately started practicing the Natural Farming methods and the smell went away. 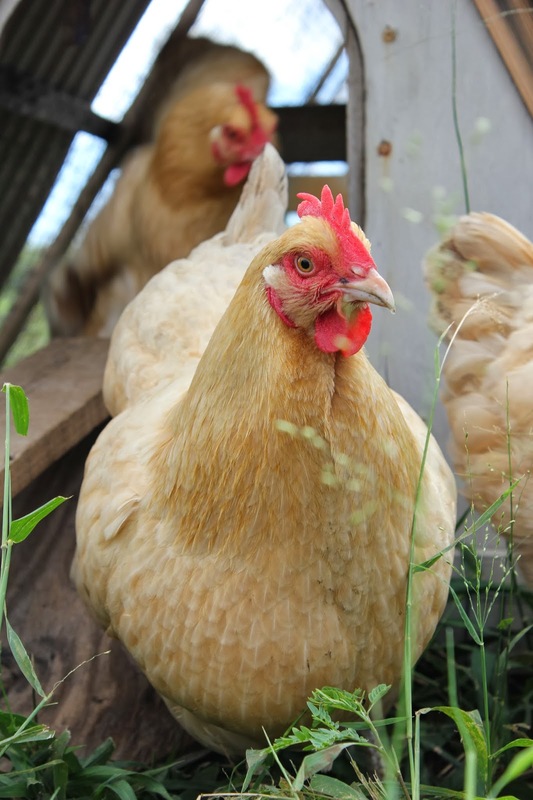 With chickens the egg quality will be superior with super sturdy yokes. With pork, the pigs are more content to laze and root around in such natural bedding. Also, reportedly, there is no risk of skin diseases compared to pigs raised on other surfaces. Talk about smart (and clean!) microbes! Awesome! A Billboard that Creates Water! A great example of how human ingenuity will save the planet!!! The first billboard that produces potable water for the city of Lima from the air. Created by the University of Engineering and Technology in Peru. Awesome!!! Let's All Do the Chicken Dance! Araucana Chicken. Photo by Kat Thomas. While I was on the Big Island I spent copious amounts of time with chickens (which is evident by the amount of fowl photography on my iPhone)! During my time at the organic farm I was in charge of taking care of this fine feathered friends from watering and feeding them in the morning to opening their hutches for their afternoon walks to making sure they were secure and protected from mongooses at night. Buff Orpingtons. Photo by Kat Thomas. In the beginning I was scared I would get pecked by my co-workers, but in reality most of the chicken scattered as soon as they saw this new stranger approaching. But once they got to know me a little more they were super affectionate and would allow me to give gentle stroking pets on their backs. Rainbow Eggs. Photo by Kat Thomas. Chickens are funny birds! When I would ride the tractor in the fields they would follow me grabbing seeds and bugs that were scattered around in my wake (this is where I learned the true origin of the car racing game “chicken,” instead of running away the hens would stare me down until I was forced to veer away (at which time they would promptly move). 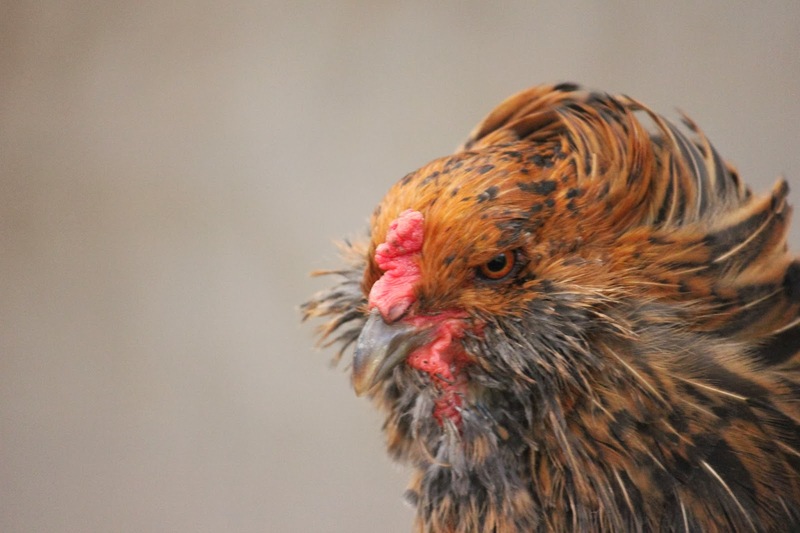 Rhode Island Red. Photo by Kat Thomas. 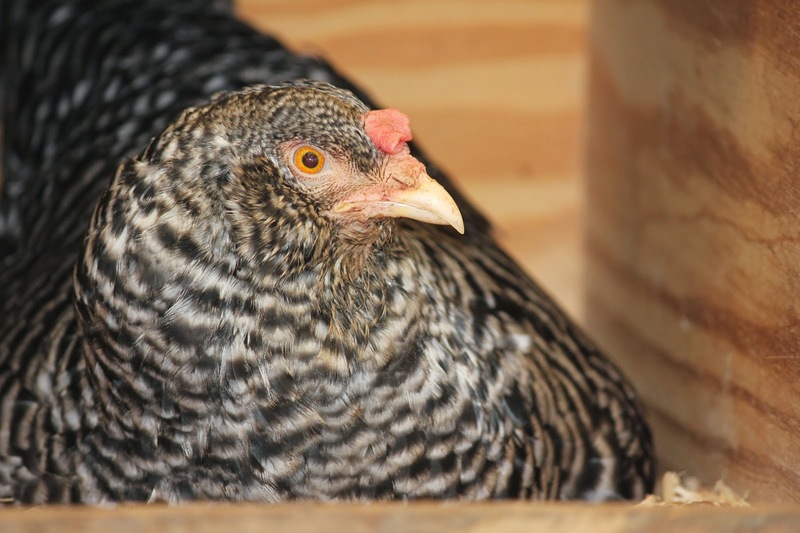 Another crazy thing about chickens: they take baths in dust! They care for their feathers and skin by digging shallow ditches in the driest dustiest dirt and then toss it onto themselves. The dirt coats their feathers and settles next to their skin, absorbing excess moisture and oil. 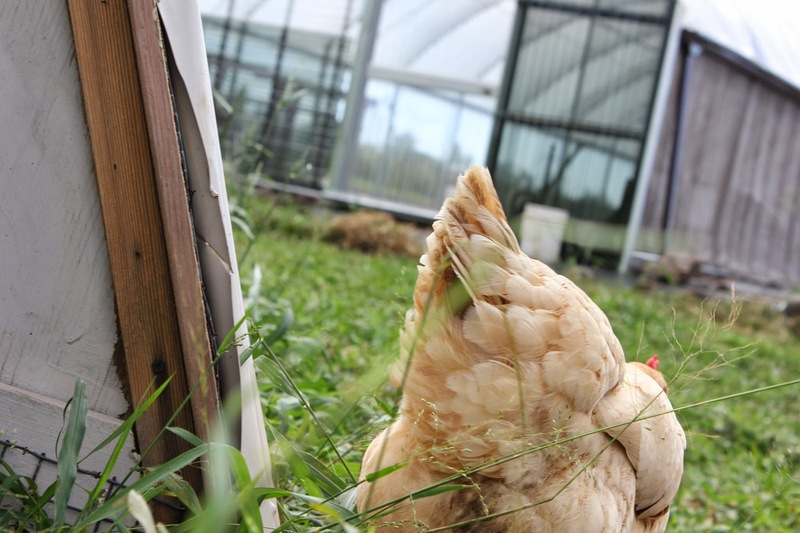 At the end of a dust bath, the dirt is shaken off and the chicken proceeds to preen and groom its feathers back into place. Plymouth Rock Chicken. Photo by Kat Thomas. Chilean in origin, where they are thought to have been bred by the Araucanian Indians. 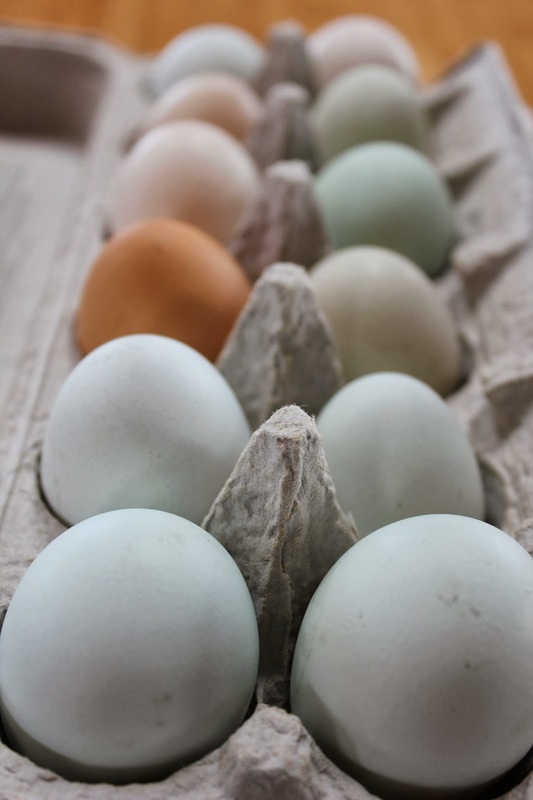 Super popular at Farmers Markets they are known for their blue/green eggs! Plumage varies in combinations of black, silver, brown white, and gold. Some Araucanas have tufts or crests, or lack a tail. Rhode Island Reds are held in such high esteem that they're the official Rhode Island state bird. They were once hugely popular on small American farms, but fell out of favor as farms got larger. Today they’re making quite a heritage fowl comeback. 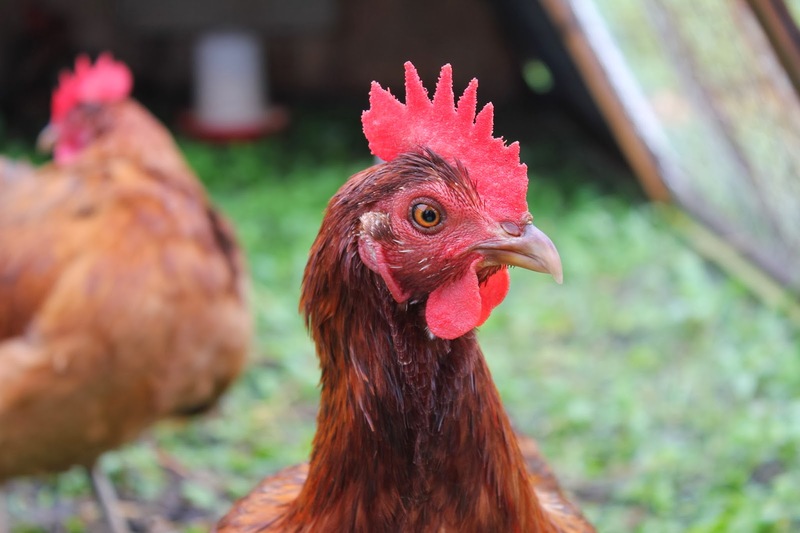 Rhode Island Reds are known for being the do-everything bird: they lay exceptionally well (brown eggs), are very hardy, and they're valued for their meat (but not at this farm since their chickens were only used for egg production!). 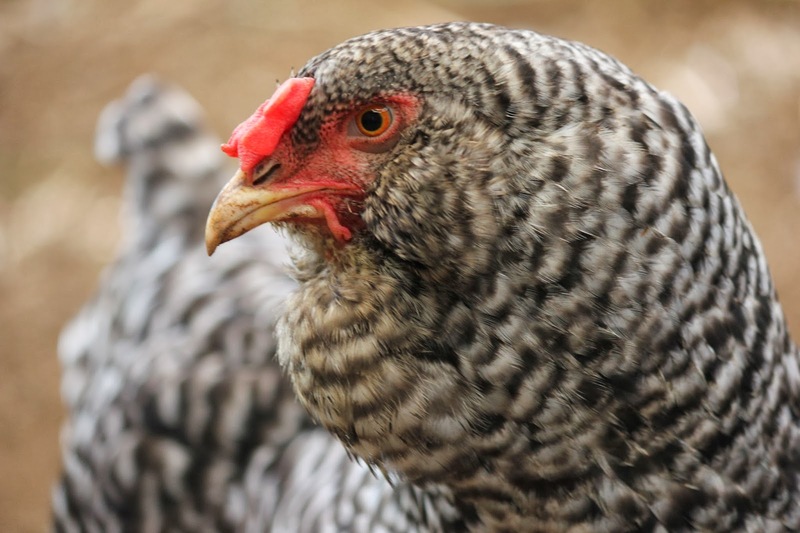 One of the most popular American farm chickens during the late 1800's and early 1900's. They are known for their bright gold plumage, excellent egg production (these were usually pinkish brown), and exceptionally tasty meat (but, once again, not at the farm). These birds are known for their personality, along with their beauty (and their fluffy chicken bottoms!). Another Reason to Pop Macadamia Nuts! 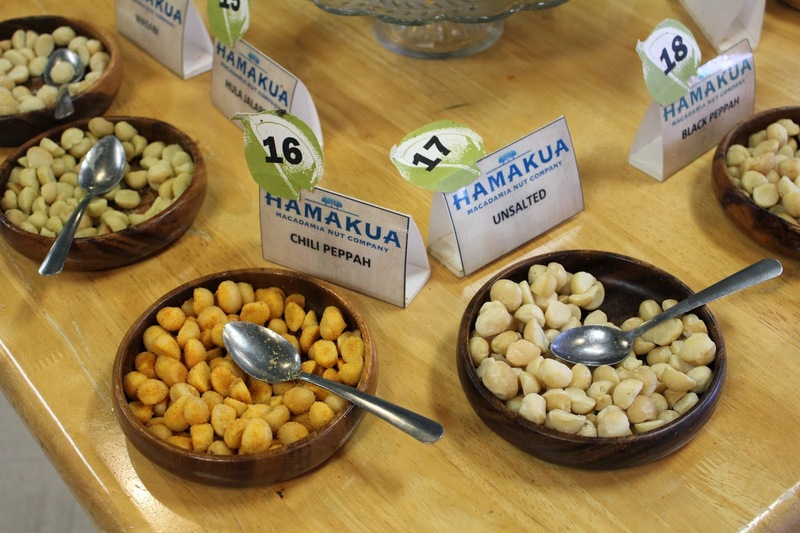 While on Hawai’i Edible Skinny was lucky enough to tour the Hamakua Macadamia Nut Company. With choices including Island Onion, Wasabi (for which they originated the craze), and SPAM (not for this Vegan!) there was rainbow of flavor choices for the palette. 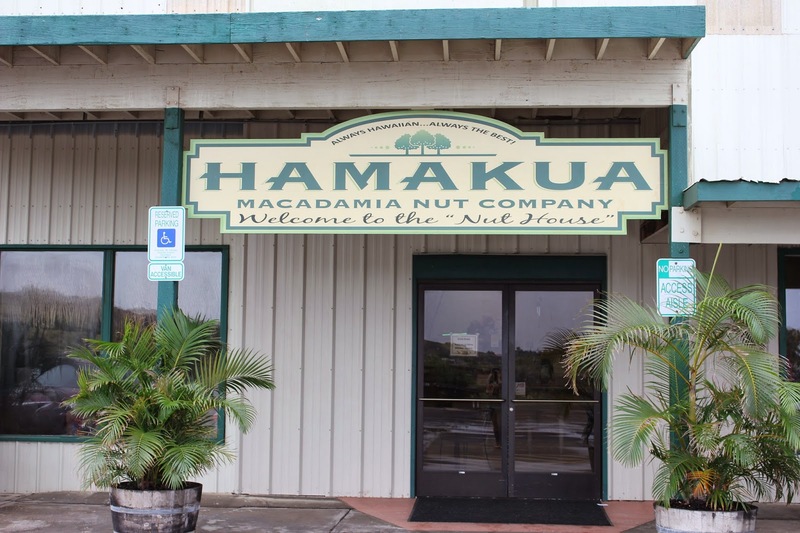 Hamakua Macadamia Nut Company is named after the district of Hamakua on the Big Island where the first macadamia nut trees in Hawai’i were planted in 1881. Although native to Australian rainforests, mac nuts thrived in Hawai’i and the state became the site of the world’s first commercial plantations. 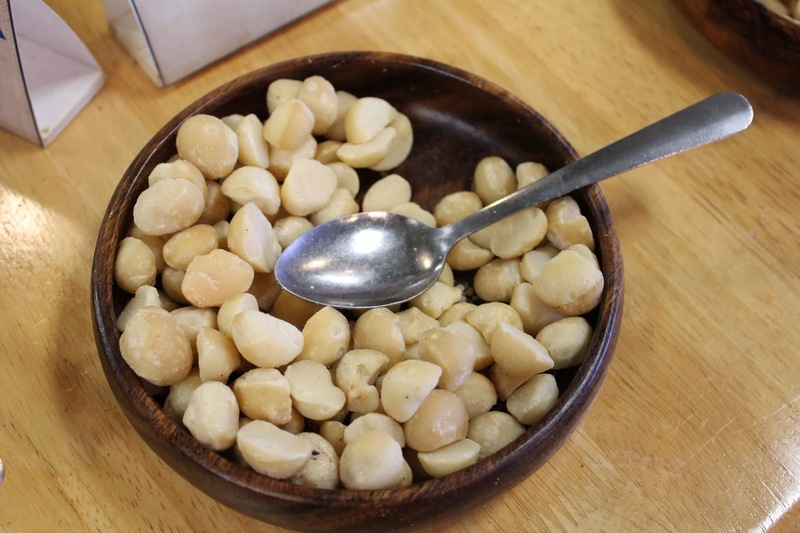 Today, these delicious, hard-shelled nuts are one of the Hawai’i Island’s largest crops (and absolutely one of my most favorite foods on the planet!!!). Hawai’i’s rich volcanic soil, abundant rainfall, and perfect temperatures combine to produce some of the best macadamia nuts in the world. 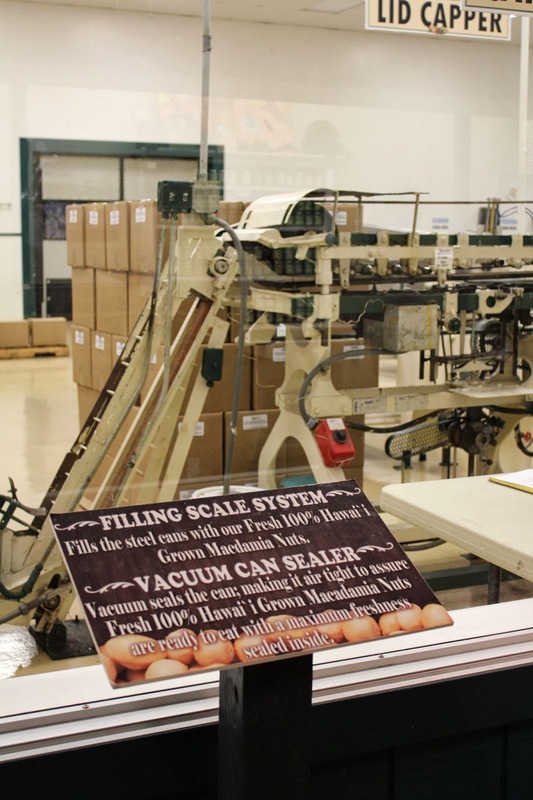 Hamakua Macadamia Nut Company grows, purchases, and processes 100% Hawai’ian macadamias that are grown on one of the Big Island’s four mountain ranges. Along with spreading a huge smile on your face, there’s a lot of reasons to pop a mac nut in your mouth. Macadamia nuts are high in monounsaturated fatty acid (good fat), which help reduce overall cholesterol levels. Macadamia nuts contain flavonoids (a photochemical) and tocopherols (Vitamin E), which aid in protecting against cancer and heart disease. Macadamia nut oil contains Omega 3 known to reduce the risk of heart disease and high blood pressure. The macadamia nut is one of the few foods that contain palmitoleic acid, a monounsaturated fatty acid. Palmitoleic acid may aid in fat metabolism, possibly reducing stored body fat. Macadamia nuts aren’t harvested from the trees; instead they fall to the ground fully ripened. However, you don’t pick one up expecting to shell it and pop it into your mouth. 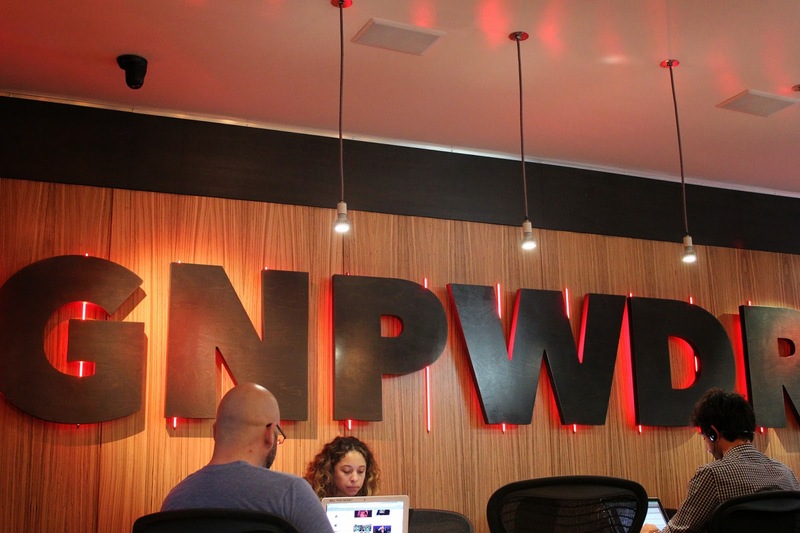 It requires 300 pounds of pressure per square inch to crack a mac nut shell. Which is one reason Hamakua Macadamia Nut Company is also a green company (which is very very popular on the island of Hawai’i). They use no fossil fuels in the drying of their nuts; instead they are dried by burning the high energy macadamia nut shells and converting that energy into steam, which is then used for drying. Hamakua Macadamia Nut Company has installed a 30,000 square foot photovoltaic (PV) system, which generates 75% of their electricity needs. With another 10% from biomass and increased energy-saving measures, their goal is to replace 100% of their electricity needs with renewable resources. Not that you ever need (in any way!) an excuse to eat a macadamia nut, but Hamakua Macadamia Nut Company just made this taste experience a little sweeter!